Our society celebrated our 21st annual meeting this past summer in Montréal, Québec. I believe that our society has held more meetings in Montréal than any other city. With good reason, our meetings in Montréal are also typically our most well attended. Not only is the city lovely in the spring/summer but some of the most influential people in interpersonal theory come from Canada. This year, the Lifetime Achievement Award was given to Dr. Debbie Moskowitz for her many contributions to SITAR. 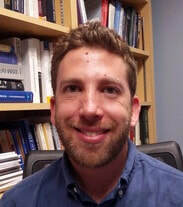 Professor Moskowitz’s is a preeminent scholar in our field whose highly generative work has influenced the fields of personality, assessment, person-by-situation interactions, psychopathology, and quantitative methodology. Her work using ecological momentary assessment to measure stability and cross-situational generality of affect and of interpersonal behaviors using terms such as flux, pulse, and spin have inspired an entire generation of interpersonal scholars and have truly changed the way we understand and measure personality and psychopathology. I know that many share my sentiment that recognizing Professor Moskowitz for her work was very well deserved. While we honored the pioneers of SITAR this year we also began thinking about our future and how to continue to grow and see our society evolve. This year we continued to have many important discussions about the sustainability of annual SITAR meetings and whether we should be shifting to a biennial schedule. As some of you may recall the results of our informal polling suggested that people largely had mixed feelings about this with many not wanting to see SITAR lose its momentum but also recognizing the need to shift to a model that would allow people to have more flexibility in attending multiple conferences each year. With the help of our past-president, Aidan Wright, we have been able to come up with a solution that does not compromise the integrity of the society’s mission. For the first time SITAR will be partnering with the Association for Research in Personality (ARP) and will be held as a one-day pre-conference to their 6th Biennial Meeting. The conference will be held from Thursday, June 27, to Saturday, June 29, in Grand Rapids, Michigan. The conference website is now up at: https://sitar2019.wordpress.com/ as is the portal for submitting poster and oral presentations: http://cmt3.research.microsoft.com/SITAR2019. The deadline for submission is February 28th. A block of rooms will be reserved at the Amway Grand Plaza (https://amwaygrand.com/), 187 Monroe Ave. NW, Grand Rapids, MI 49503 (room rates and registration link to be updated soon).For additional information on ARP please visit: http://www.personality-arp.org/conference/ We believe that this will be an excellent opportunity for the cross-pollination of ideas that will serve to benefit both societies alike while also honoring those with concerns about the sustainability of SITAR among competing demands to attend multiple conferences. This year we also had several new changes to our Executive Council. First, Patrick Markey will be stepping down as the Executive Officer of SITAR. Thank you Patrick for your many years of service! Alytia Levendosky has graciously stepped into this role. We also welcome Thane Erickson as the next Vice-President of the society, and Jenny Cundiff and Jeff Girard as the newest Members-at-Large. Jeff also takes over website duties from Johannes Zimmermann. Finally, congratulations to Leon Wendt for receiving the Wiggins Award for his talk, “The Latent Structure of Interpersonal Problems” and to William Woods for receiving the Poster Award for his presentation, “Approaches to Modelling Interpersonal Complementarity in Intensive Longitudinal Data”. Once again, thanks to everyone for their service and contributions to our society. We look forward to seeing you all in Grand Rapids this summer.